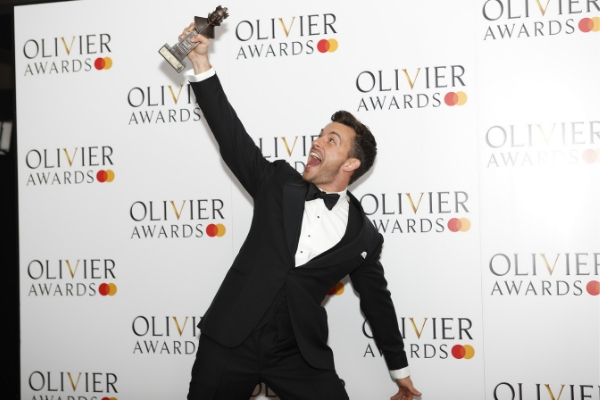 Jonathan Bailey picked up his first ever Olivier Award, winning Best Actor in a Supporting Role in a Musical for his portrayal of Jamie in Company. The musical also won Magic Radio Best Musical Revival, the Blue-i Theatre Technology Award for Best Set Design (Bunny Christie) and Best Actress in a Supporting Role in a Musical for Patti LuPone. First-time nominee Kobna-Holdbrook Smith won Best Actor in a Musical for his portrayal of Ike in Tina – The Tina Turner Musical, while Best Actress in a Musical was won by Sharon D. Clarke for Caroline, Or Change. Visit our dedicated Olivier Awards page on #StageFaves for further coverage – and tons of social media – from the night.